How to Use Salicylic Acid for Acne? Salicylic acid is one of the most common ingredients that one sees on the labels of acne treatment products but are you aware what this acid is and how it is used? Comprehending this ingredient is one of the most essential steps in getting and maintaining a clear complexion. Is Salicylic Acid Safe for Acne Treatment? How to Use of Salicylic Acid for Acne? How Long Does Salicylic Acid take to Work on Acne? Salicylic acid is generally considered a safe remedy for acne. But for people whose skin is sensitive, regular usage may result in dry and peeled skin. It is used to treat mild to moderate acne only. Salicylic acid acne peel is agreed upon by the dermatologists to be an apt and superior product for exfoliating the skin and enhancing the overall appearance of aging as well as sun-damaged skin. How Does it Work and How is it Different from other Peels? Salicylic acid peels break down the protein bonds between the skin layers, which is why it can be used more often as compared to the other peels. It consists of numerous properties; this quality makes it a highly effective treatment for acne. It reduces the appearance of wrinkles and fine lines and enhances overall facial texture as it exfoliates both the surface of the skin and its pores. 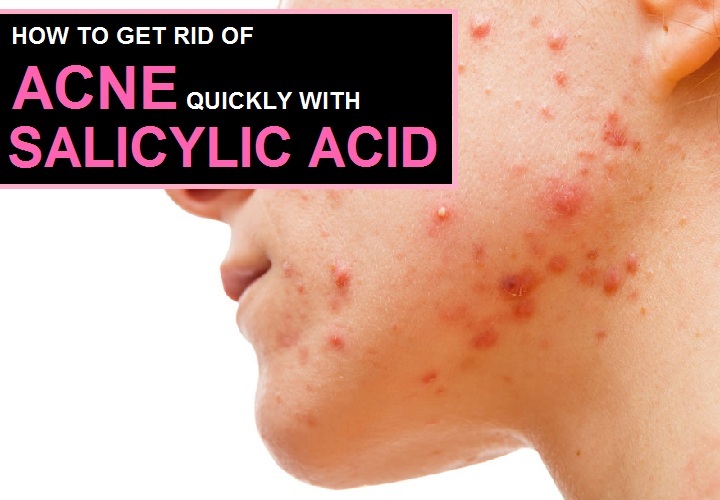 Salicylic acid acne peel can be used numerous times per week because it is oil soluble. Just because the outer layer of the skin is oily, the acid is able to penetrate the layer. Under the outer-most layers lies the dermis and this layer being made up of water prevents the salicylic acid from moving down past the layers of epidermis, which makes it safe to be used several times per week or even per day. It is a safe way for peeling as it urges the skin to come off easily and in a controlled manner as every peel will take off a few layers of the accumulated skin. You will be able to notice the results within the initial couple of applications and the texture and tone of your skin will continue to enhance as more old skin layers will come off and that will reveal the fresh, new skin within. If your skin has been sun damaged since many years or months then the process will take time. Tip: Do not be impatient because exfoliating is a procedure that is bound to consume time. When the antibacterial benzoyl peroxide and the exfoliating salicylic acid is used together, it helps in cleansing the skin over time by minimizing the fine lines, soothing irritated skin and stopping acne at its very base. Both benzoyl peroxide and salicylic acid halt breakouts prior to the period that they mar your daily beauty routine. BB Cream or tinted moisturizer to be used as foundation that contains benzoyl peroxide. Choose a gentle facial cleaning pad or moisturizing scrub and a wash that includes salicylic acid. If you have sensitive skin then you can employ the use of a product that consists of 0.5 percent concentration of salicylic acid. Wash the affected area twice on a regular basis and use lukewarm water to rinse it thoroughly, pat dry with soft washcloth. Dip the cotton ball into a toner that consists of salicylic acid. Dab it over your oily spots like the forehead, chin and nose, after washing. Let the toner soak in completely and dry. Apply only a pea-sized quantity of benzoyl peroxide cream or gel over the face after toning and leave it on to dry. Choose a 5% formula and use the product with a gap of every other day to test the tolerance of your skin for benzoyl peroxide. Increase the percentage of formula as frequently needed. Apply an oil-free moisturizer over your skin and dab it gently to dry it out. Apply a BB cream or any other tinted moisturizer as a foundation that includes benzoyl peroxide with an applicator brush or sponge to combat acne all through the day. Tips: Apply sunscreen on a regular basis to combat sun sensitivity from the use of product. Acne might make a comeback with cessation of the use of product. Salicylic acid can irritate your skin if it will be used more than twice a day. Benzoyl peroxide can dry or peel the skin and might lead to the formation of bleach spots on cloth. Tea tree oil is an essential oil that is made of concentrated plant materials. It is native to Australia and the oil is famous for its antiseptic qualities. It is also a natural acne treatment and can be found as an ingredient in many skin products. Add a few drops of salicylic acid into the measuring cup and transfer it to a small bowl. Add upto five or ten drops of tea tree oil to the formula. Mix it well with the stirring straw or stick. Wash your entire face with a gentle cleanser. Pat the face dry and apply the mixture directly to the blemishes or acne and let your skin absorbs it completely. Apply a moisturizer to the face. You can apply the tea tree oil even to your toner, cleaner or moisturizer in the same ratio. Do not touch or prick your acne as it can cause bacteria to spread. Employ the use of cleanser that will dry the skin or the clog pores. 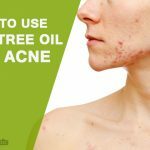 Do not let the tea tree oil get into your eyes, nose or mouth. The fact that tea tree oil is highly concentrated, it can cause irritation. Combination therapy with 4% hydrogen peroxide and 0.5% of salicylic acid results in efficacy and skin tolerability in general acne problems during the period of sun exposure. For how long you should apply the combination? You may apply the combination daily for sixty days and in the morning just apply sunscreen of SPF 50. It will reduce the acne to a considerable amount without harming the skin to a great extent. Salicylic acid can immediately start clearing acne, especially with extra tips as mentioned above. The best results though take time as well as patience. This means that it will take 6 to 8 weeks for your facial skin to fully turn over and start afresh, with no signs of acne or its scars. Salicylic acid alone or with the combination of the mentioned peroxides and essential oils can help reduce or even vanish acne and acne scars. 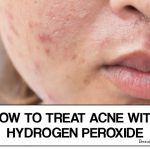 How to Clear up Acne With Hydrogen Peroxide? How To Use Toothpaste Effectively To Remove Acne? 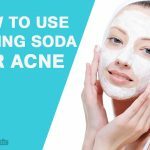 Does Baking Soda Really Cure Acne? 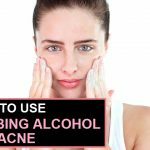 Does Rubbing Alcohol Get Rid of Acne?